Event for C-level Management, Middle Management, Executives and Leaders from all over Belgium. Join us and learn more about the secrets of innovation. You can expect a guide through innovation with tangible insights & speakers. Experience matters : How User Experience makes brands highly valuable for their customers ? L&H, from a promising technology company in Flanders that became a global player in speech technology to bankruptcy in 2002, causing 90.000 small investors to see their money disappear before their eyes. The result was a major fraud case with a judicial conviction and a prison sentence for the protagonists. Did their growth go too fast? Or was the market just not ready for their innovative products, while the stock market only wanted quick results? All these aspects together tempted the management to commit fraud on a large scale. How did it come this far and what can we learn from these mistakes? Pol Hauspie began his career in accounting. But in December 1987, he and high flying sales manager Jo Lernout decide to start a totally new venture and Lernout & Hauspie (L&H) is born. Both believe in speech and language technologies as the future of computing. The problem is: they are way ahead of the market and this makes them high tech missionaries. To quote Hauspie: “Some products we developed in our early existence are really only being sold right now. The huge gap between our product development and the absorption capacity of the market is one of the key elements to understand both L&H’s rise and decline. 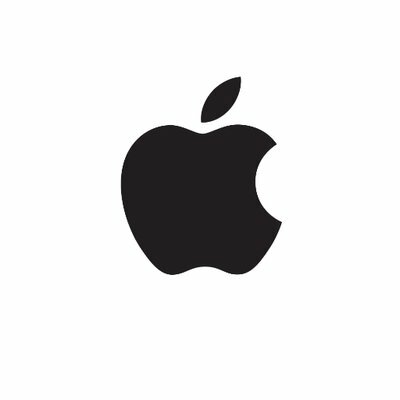 Yves started his career at Apple 21 years ago. It was his first job and the company charmed him instantly. He worked at the sales department for a while, but soon discovered the world of technology. Developing for the web is a wonderful experience. A pervasive cross-client UI, endless capabilities, and exciting new technologies. But the never-ending pile of security incidents paints a more grim picture. The web platform seems to be insecure by design. Instead of addressing the core issues, we keep focusing on shiny new technologies. That is rarely the right answer, and in fact, these technologies often make security worse. Come find out why, and discover the key to improving current security practices. Philippe De Ryck is a professional speaker on web security. He obtained his Ph.D. at the imec-DistriNet research group (KU Leuven, Belgium), and has been running the group’s commercial web security program since. If he’s not speaking at a conference, he’s running training courses or conducting security assessments. Jelle has been working for ACA for 7 years. For 5 years she has been commercially responsible for the content and document management projects. As Business Development Manager has been the instigator and driving force in the birth of COIN : The Content and Information management business unit of ACA. Recently she has also been guiding clients through the awareness phase of their emerging projects and has taken on the role of Digital Flow Consultant. Experience matters : How User Experience makes brands highly valuable for their customers? ContentSquare is an experience optimization platform for online and mobile businesses that uniquely captures visitor behavior insights to measure user experience, increase engagement and improve conversion rates. ContentSquare empowers brands to measure content performance, understand visitor intentions and explain consumer decisions when they do or do not purchase. Using artificial intelligence to provide automatic recommendations, ContentSquare’s ease-of- use and unique performance indicators ensures all teams in an organization can easily make data-driven decisions. ContentSquare was founded in 2012 and is co-headquartered in New York and Paris, with a third office in London. ContentSquare’s customers include hundreds of global brands, such as Accor, Best Western, Tag Heuer, L'Occitane, Air France, L'Oreal, Sephora, Kenzo, Unilever and more. To learn more, visit www.contentsquare.com. It’s not easy to know which technology you should keep an eye on or which tool you can use best in a specific situation or project. Companies, however, expect that experts are in line with everything going on in the market. Within this session we will explore techniques that combine several research methodologies, such as the Forrester Wave and the Gartner Magic Quadrant, that will help you visualize and choose the best technology. Embracing the right technology will be a matter of fact and not luck. As a Mobile Solution Expert at ACA IT-Solutions, Yakup is involved in mobile ideation and development processes, where he delivers technical input for realizing usable and likeable mobile applications. Yakup develops Native, Hybrid and Responsive Web Apps. Throughout the years, Yakup has gained valuable knowledge on Mobile Solutions by working on various mobile projects for clients such as Securex, VAB Fleet Services and the Flemish Government. The world is becoming more turbulent than organizations are becoming adoptable. The traditional hierarchy is reaching its limits, but “flat management” alternatives lack the rigor needed to run a business effectively. Holacracy is a third-way: it brings structure and discipline. Learn more about this new way of governing your company or department and get inspired to make small changes in yourself. Christel Hofman is a speaker at several congresses. She is a transition expert, experienced manager and a licensed Holacracy coach. Christel is a mentor for CEO’s and managers who want to have real change in their organization to better adapt to the needs of employees and clients and get better results with less effort. She trains directors and managers in evolutionary leadership. Over the past years digital has been transforming businesses – from large to small, and across industries, from manufacturing to banking and mining. The transition to a digital business places every company and executive at a crossroads – on the one hand it provides potentially huge opportunities, on the other hand it brings along significant strategic and operational challenges.Yet despite the clear benefits, businesses are at the same time struggling with capturing the potential of digital, through either insufficient priority, focus or budget and/or poor implementation capabilities. Stijn Wijndaele started his career of as the first employee of Nomadesk. Nomadesk is a dropbox for enterprise solution and enlisted big clients to their users-base like eg. McKinsey & Company to name only one. He then went on to join the early phase of Cloudfounders, which is essentially a private cloud solution for SMB to act as program manager. Next , he managed a Business unit for ACA-IT where he positioned mobile solutions for enterprise customers, from a strategic and technologic point of view. He holds a master in business process management at the Vlerick Business School. So from within his passion of optimising business processes combined with his extended professional track record in start-ups & new technology, Stijn experienced what technology can mean for enterprises. It is from that perspective that he started DigitalNow. DigitalNow is a company that focusses solely on optimising your business efficiency by examining your existing processes and elevating the latest technology to optimise those. 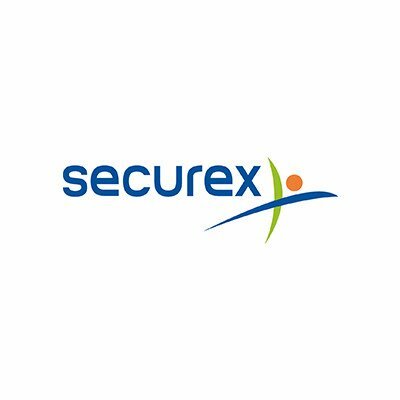 Discover how Securex took innovation to a higher level on a marketing level and as an internal project organization. With the help of audience targeting they successfully obtained a faster time to market and increased conversion rate. Agile project management on the other hand, made sure that they could benefit from a targeted approach and effective, valuable communication between business and IT. Kurt has been working for Securex for 11 years. As a project manager he’s among other things responsible for the corporate intranet. Other recent experiences include the integration of a datavault 2.0, elastic search engine, and setting up a low code development platform with Mendix. He’s also involved in creating a bi-modal IT for faster achievement of the strategic business goals In an agile environment. Knowing that the end-of-the-line is again the departure of more to come. I hope I can inspire you to take our experience and the principles we endorse and use them in your own organization. Fascinated by knowledge, motivated by solutions, and knowing that every journey of a thousand miles begins with a single step [~Lao Tzu], that is in a nutshell who I’m. During my early professional live as a medical biochemist in a research environment in the nineties, I discovered the power of ICT. At the same time I saw so many technological opportunities that were lying ahead of us. As a result my passion became to remove waste from our daily tasks through automation, in favor of using that time for more value creating activities. Now, after many years of working in software development and being responsible for operations @ ACA IT-Solutions since 2012, I still cherish that same passion. Every day again I try to discover improvements that will contribute to the better realisation of the organization’s vision and strategy. Those insights are the driver for defining the necessary actions that help our project teams and the entire organization in preparing themselves for the future. Starting with a brief introduction of the General Data Protection Regulation, the presentation continues by giving some unique insights in the practical consequences of this European regulation. It will demonstrate the way the GDPR will change processes and behaviour. With a focus on the potential benefits of the GDPR and how to uncover its hidden potential, the presentation will answer the question if and how it is possible to let the GDPR drive innovation. After a successful career in the financial industry, working in various management functions in IT and business, Bart Van Bouwel co-founded CDI-Partners. CDI-Partners helps companies to streamline their business processes through IT, creating more business value while lowering costs. CDI-Partners also assists companies with the implementation of strategic IT-related programs, such as GDPR compliancy. In this session, we will be presenting how AWS Security foundations, best practices and services can help businesses moving and innovating faster while keeping a strong control over their security. 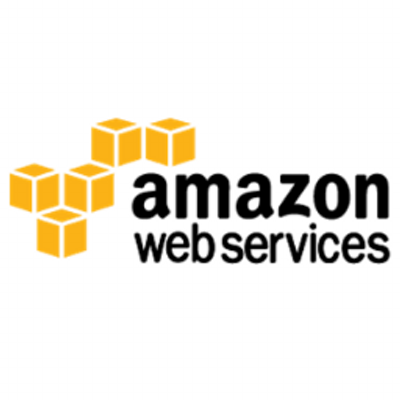 Antoine Brochet is working at AWS since January 2015. Since his start at AWS, he has been helping many companies ramping up their usage and knowledge of the cloud, with a strong focus on Benelux-based Startups. Businesses keep struggling to find a solid, repeatable way to deliver value as quickly as possible to thrive their customers. On top of the Agile and Lean movements, one emerged that tries improve the way Dev, Ops and QA work together: DevOps. In this session, you’ll find out how this can be beneficial for your teams. Tom Moors has completed his Master in Informatica with a major in Software Engineering at the KULeuven. Since 2010 he is exploring the Application Lifecycle Management domain, with a main focus on the Atlassian tools. Tomorrow starts today will be an event, packed with innovation insights & best practices for your business. Our speakers will be bringing a lot to the table, so make sure you do not miss out on this event. More info will be available soon.
! Free cancellation is possible until 24/09. Cancellation after this date will require a fee of €50 that will be donated to charity.